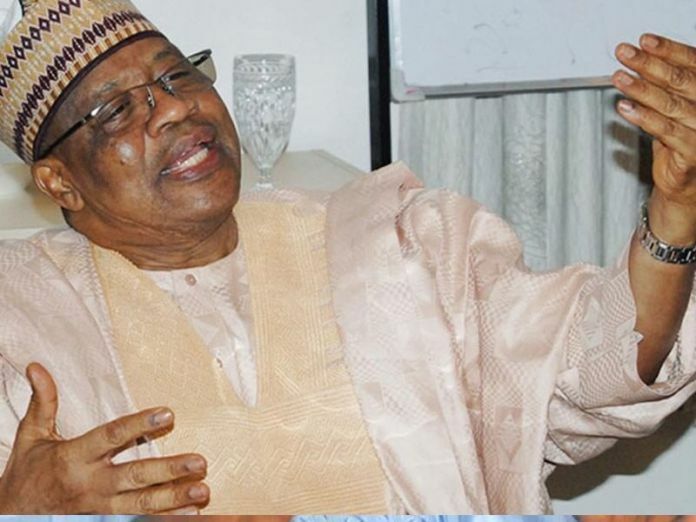 Former military president, General Ibrahim Badamasi Babangida (rtd) has said he will support any project, organisation or body whose objective is to achieve one Nigeria. Babangida made the declaration in Minna yesterday when he received the new leadership of the Northern Leaders and Stakeholders’ Assembly (NLSA), a northern socio-political advocacy, at his residence in Minna, the Niger State capital. The former military president said as a military officer who had fought for the unity of the country and one that had had the opportunity to govern the country, he would never be a party to any organisation or discussion aimed at the disintegration of the nation. “I will support any group that comes out with a template that will ensure the unity and stability of Nigeria,” Babangida said emphatically, adding: “Politics is all about togetherness and the betterment of the country.” Babangida told the group led by Alhaji Tanko Yakasai to interact with politicians across the country, irrespective of party affiliations because “they (politicians) know what Nigerians need”. According to him, anything within the context of one Nigeria was noble. “I will support and bless what you are doing but you should be fair in your dealings with Nigerians. “This move has answered my questions and put away my worries about the essence of one Nigeria. The Assembly will go a long way in cementing the unity of the north and indeed Nigeria.” Speaking earlier, the chairman of the NLSA said the group’s mission was aimed at promoting the cultural and political unity and amity among all northerners. According to him “This Assembly is political but non-partisan. It is political in the sense that the door is opened to all northerners, irrespective of their ethnicity, differences in religious and political beliefs or sectional background.” Yakasai noted that although the idea to form the group came about just as the country was approaching general election, its formation had nothing to do with the elections. “We are aiming at something far beyond this year’s electioneering,” he said. He disclosed further that the group would not be an affiliate of any political party, ethnic-based group or religious body. Some members of the NLSA on the entourage included the former Minister of the FCT Alhaji Bala Mohammed and former Niger State governor Dr. Muazu Babangida Aliyu.